Whether mere bumps in the road or genuine crises, we live in a world of unwanted events that no willpower can prevent. In The Art of Disappearing, Ajahn Brahm helps us learn to abandon the headwind of false expectations and follow instead the Buddha's path of understanding. Releasing our attachment to past and future, to self and other, we can directly experience the natural state of serenity underlying all our thoughts and discover the bliss of the present moment. In that space, we learn what it is to disappear. Ajahn Brahm, an unparalleled guide to the bliss of meditation, makes the journey as fun as it is rewarding. 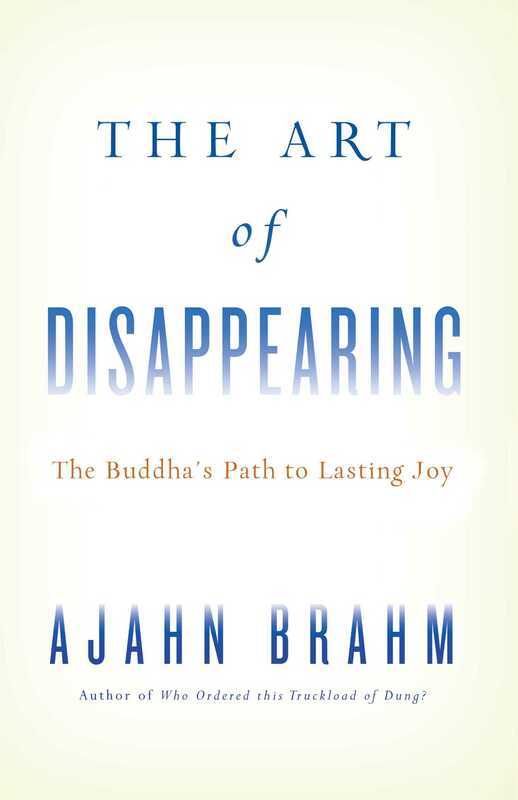 The Art of Disappearing, comprised of a series of teachings Ajahn Brahm gave to the monks of Bodhinyana Monastery, where he serves as abbot, offers a unique glimpse into the mind of one of contemporary Buddhism's most engaging figures. "In this well-done and illuminating work, Brahm shines a light on the spiritual practice of mindfulness." "This book is an invaluable companion for your journey to your true self, the not-self that lies at the end of the Buddha's path." "With his characteristic simplicity, clarity, and humor, the British-born Thai forest monk, Ajahn Brahm, offers a prescription for treating dissatisfaction with our lives, whether it be difficulties with our health or any circumstance not to our liking. His instructions on meditation and on mindfulness practice are simple and clear enough for new practitioners, while at the same time offering profound insights for those with years of experience. Brahm teaches us the "art of disappearing" into stillness, which gives rise to contentment with life as it is at this very moment. This is Ajahn Brahm's prescription for true peace and profound happiness. What a gift of the Dhamma!"